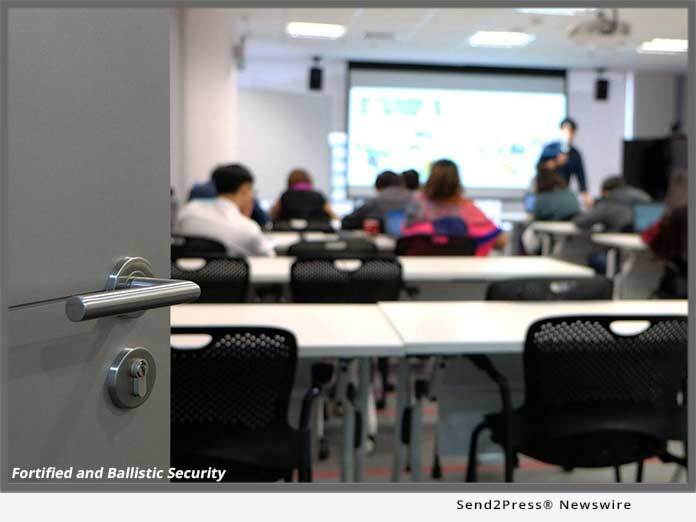 BOCA RATON, Fla., Feb 13, 2019 (SEND2PRESS NEWSWIRE) -- South Florida based security company, FBS - Fortified and Ballistic Security, announces plan to protect schools in honor of the one year anniversary of the Parkland shooting. For years, FBS has been perfecting their safe environments, or The Sanctuary(TM), for luxury homes, and the time has come to give back. It would be difficult to dispute that our country faces a grave security crisis when it comes to protecting children in our schools. What is often up for debate is how to go about solving this emotional conundrum. The general, repeating pattern looks something like this: a school shooting occurs, debates break out over hot topics such as mental illness and gun control, real resolution feels slow to realize, and many Americans are left feeling helpless and desperately confused about how best to protect our children. FBS felt especially called to action following the Parkland shooting last February when family, neighbors, clients and friends were directly affected by this tragedy. And, it's not just Parkland, it's happened and continues to happen across the country at an alarming rate. One factor that these schools all have in common is that these buildings do not have designated safe spaces. After almost a year of actively negotiating with manufacturers and industry partners, FBS is optimistic they have a solution that not only bridges political divides and circumvents the sluggish legislative process, but also allows individuals a chance to take positive action in order to make a legitimate difference. Starting February 14th, 2019, FBS is pleased to announce that for every Sanctuary(TM) a client installs in their home, FBS will install a Sanctuary(TM) in a school of the client's choosing in their name, completely free of charge. FBS representative, David Vranicar, explains, "FBS is already designing and installing safe environments regularly all over the country. We want to do our part to help. Our manufacturers, employees and other contractors have pulled together to mitigate costs to make this happen. This is just ONE idea. If anyone has suggestions on what more we can do, we're all ears." The Sanctuary(TM) redefines traditional panic rooms, preserving aesthetics and comfort while also providing the highest level of ballistic security available. The design ensures fortress level security without feeling like you're in a fortress. Typically reserved for celebrities and politicians, FBS is enthusiastic about giving that same level of protection to our nation's kids. FBS - Fortified and Ballistic Security is a pioneer in the security sector, providing fortified, safe environments that are impenetrable without compromising beauty and style. For more information, visit https://customsecuritydoors.com/.